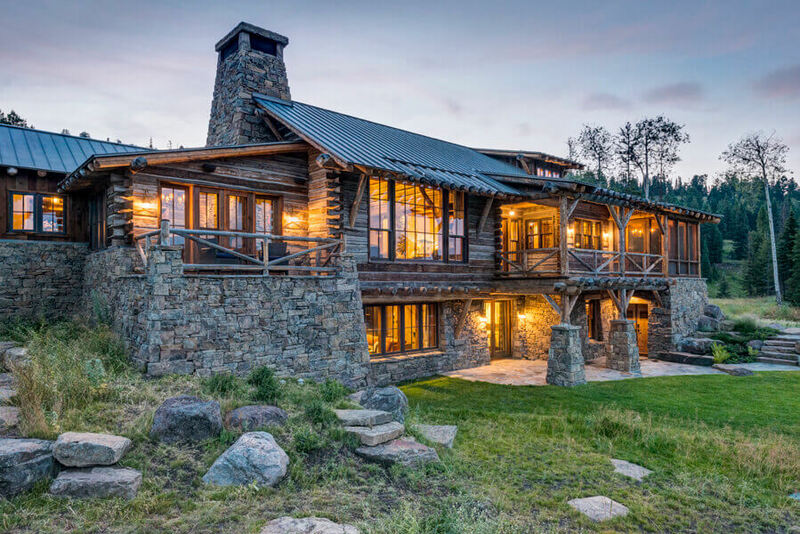 Tucked into the slopes and folds of the Beartooth Mountains, a collection of structures serves as a working ranch. Interweaving numerous buildings within a specific environment is a process that demands taking time to understand the land and its rhythms. 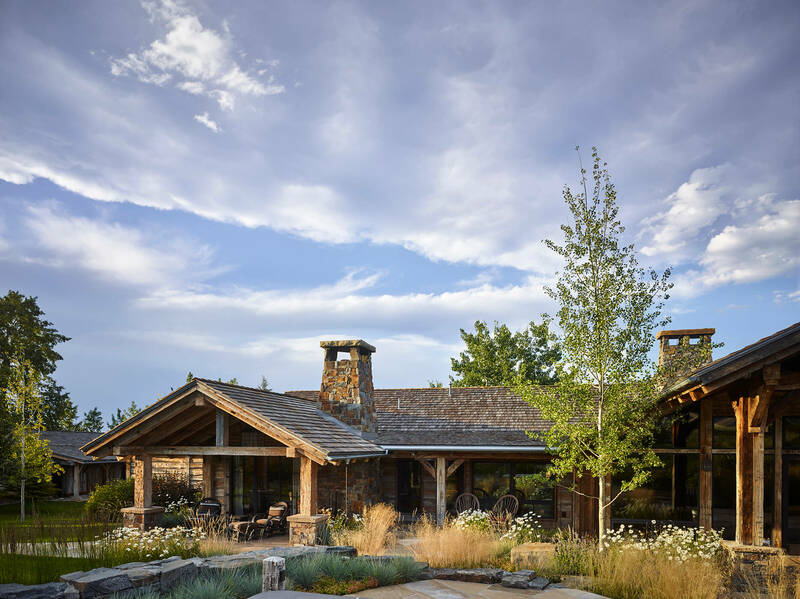 Tucked into the slopes and folds of the Beartooth Mountains, the collection of structures achieves the desired objective while also serving as a working ranch. The main home with its stone and hewn timber interior, is built around a central node featuring a kitchen, dining and living spaces. Various paths and levels respond to the natural slope of the landscape and lead into spaces affording more private environments. The owners also desired a space to conduct business outside of the main home, which led to the design of a separate office granting the same intimacy combined with the desired rustic appointments.